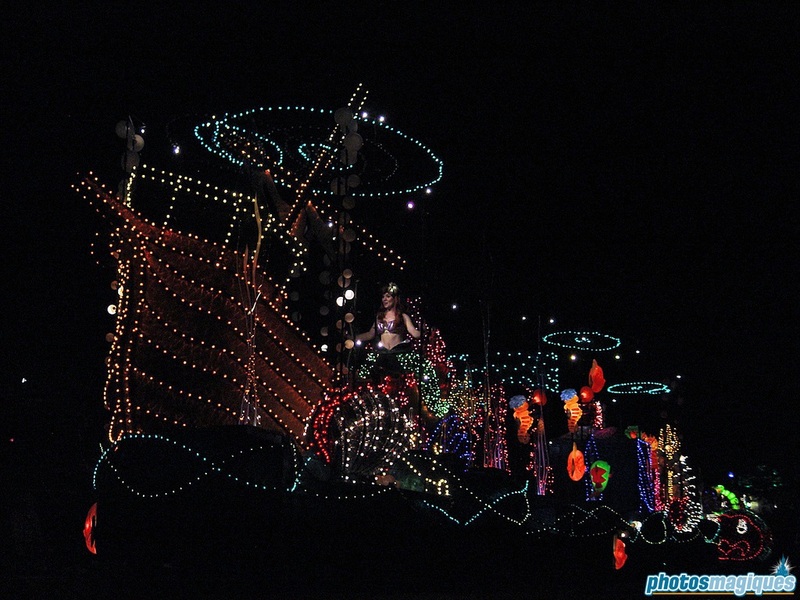 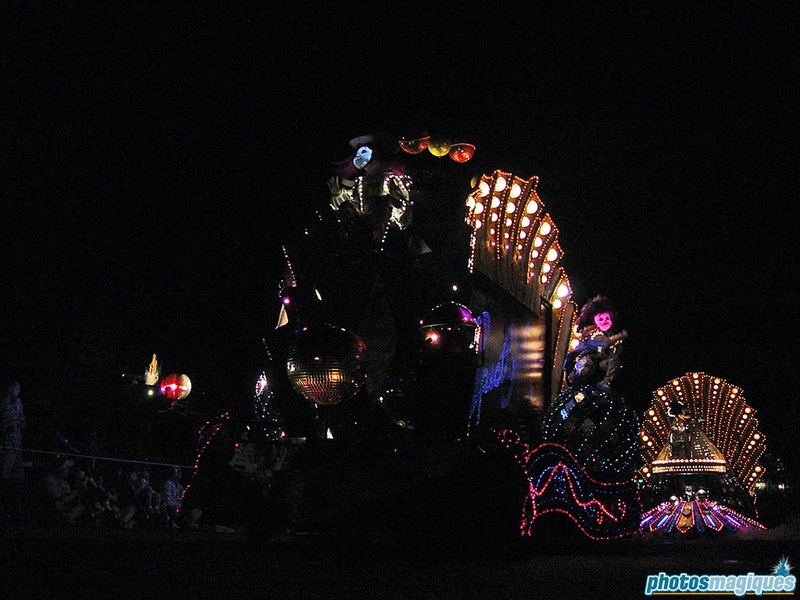 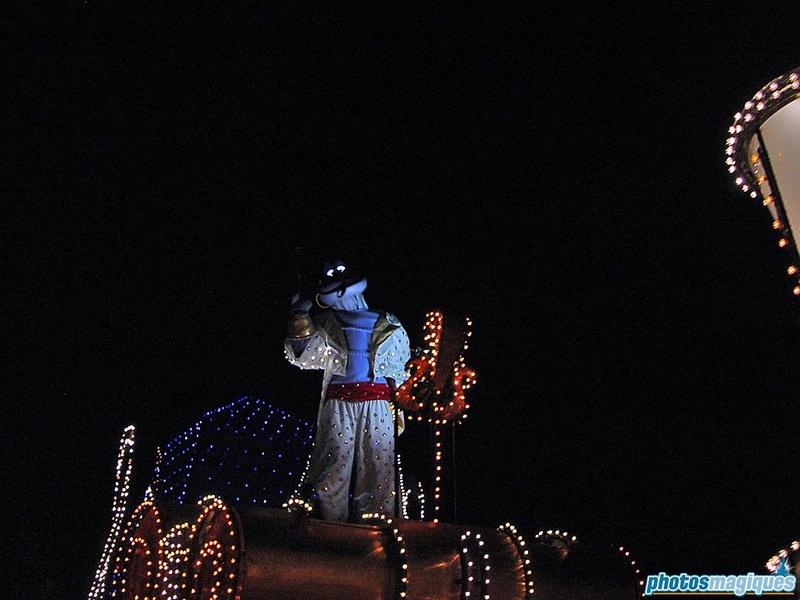 Walt Disney World has retired its Spectromagic nighttime parade. 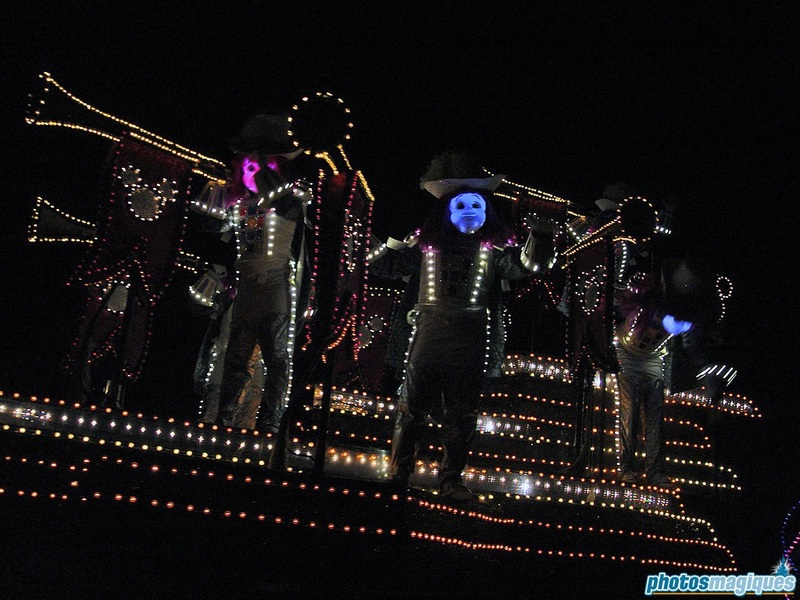 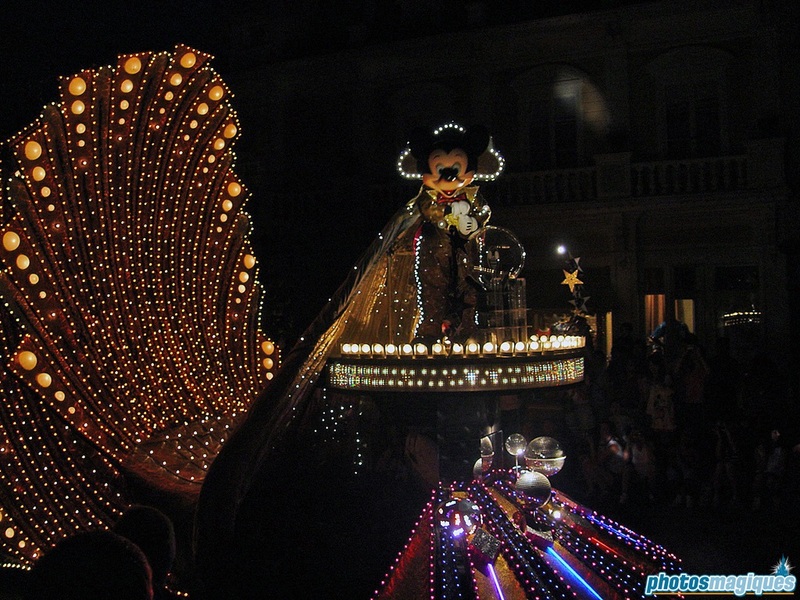 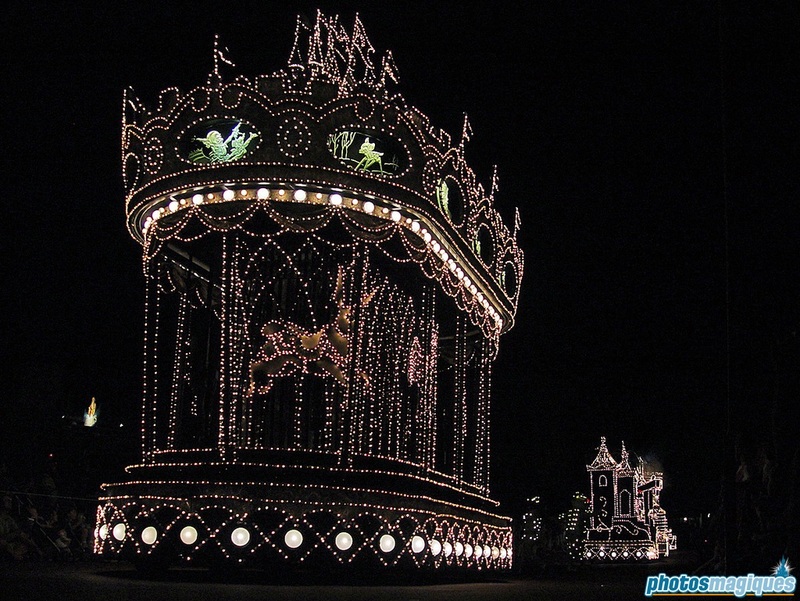 It was originally introduced to the Magic Kingdom in 1991 as a replacement for the Main Street Electrical Parade. 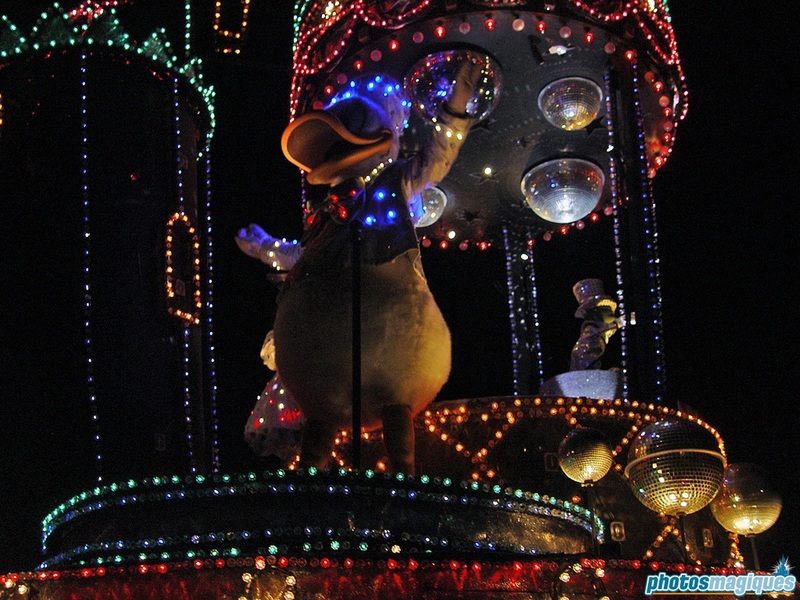 The colorful floats featured characters from Sleeping Beauty, The Little Mermaid, Aladdin, Alice in Wonderland, Peter Pan, Cinderella and Fantasia, as well as the Mickey Mouse and the other Fab 5. 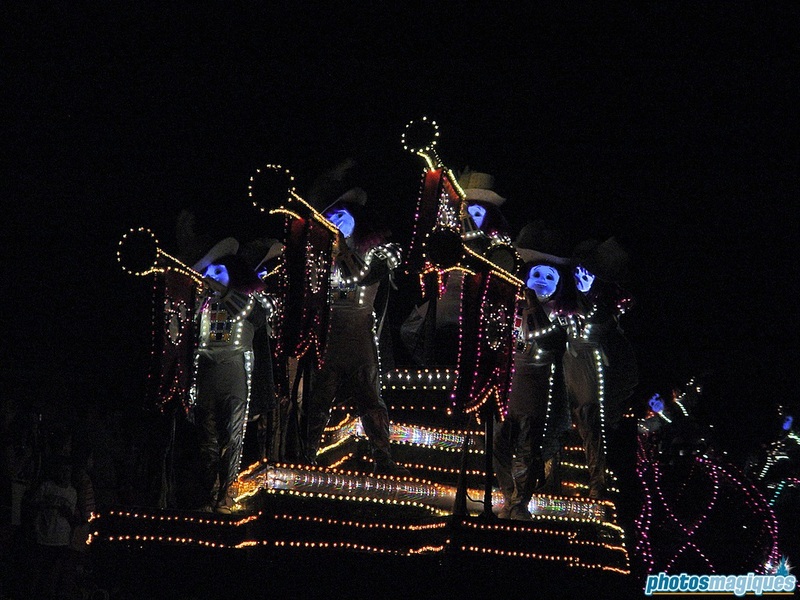 The Spectro-Men were characters created just for this parade and features light-up faces. 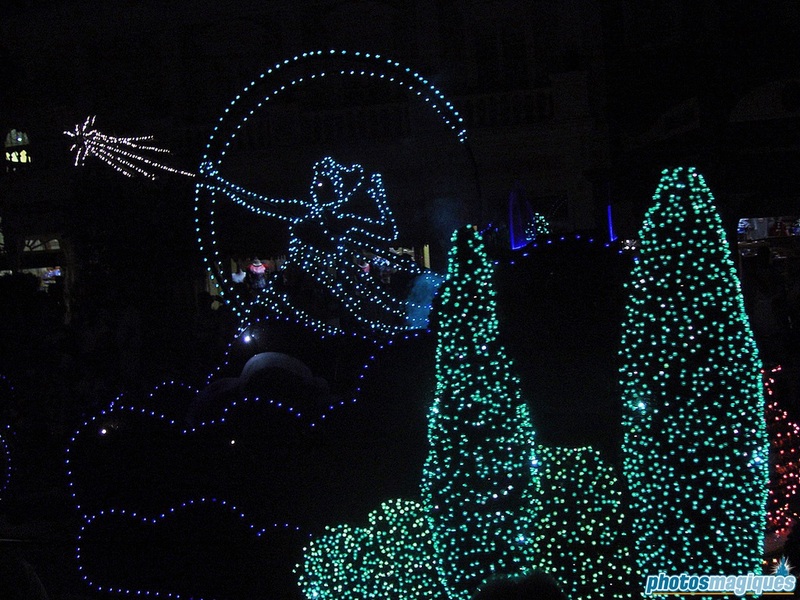 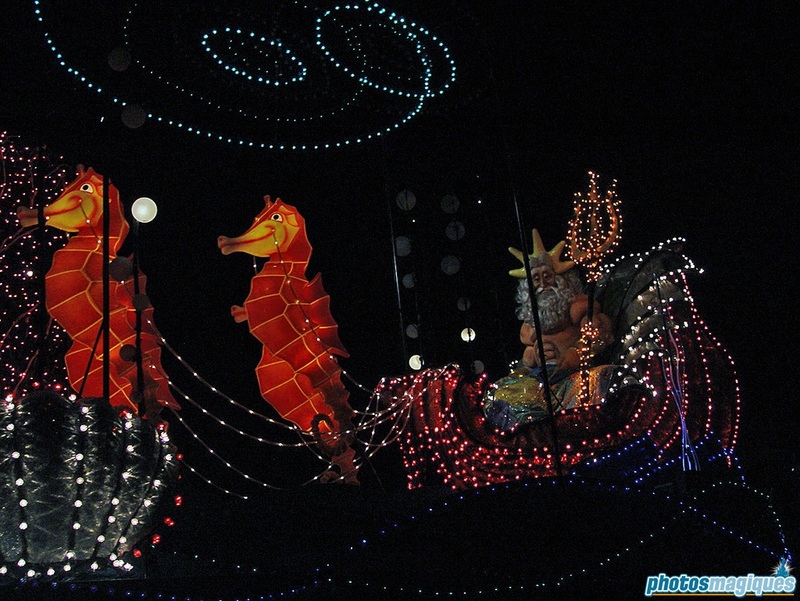 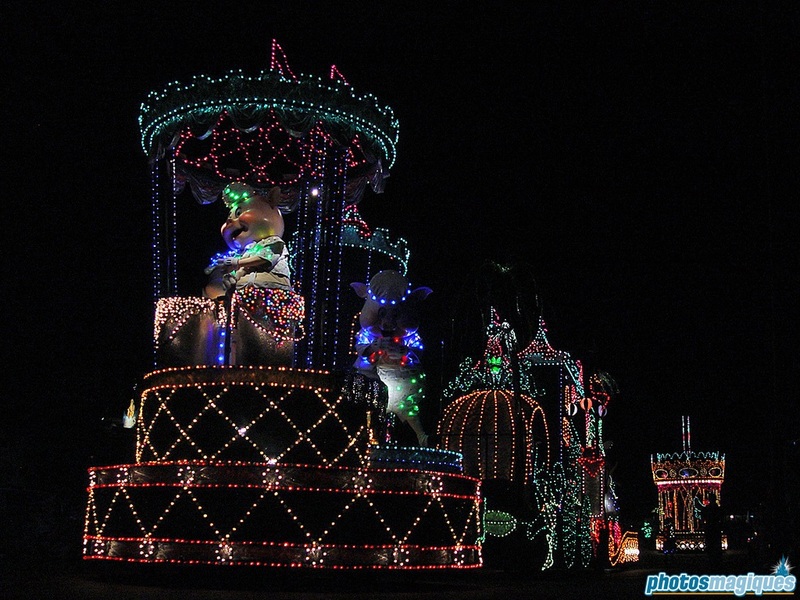 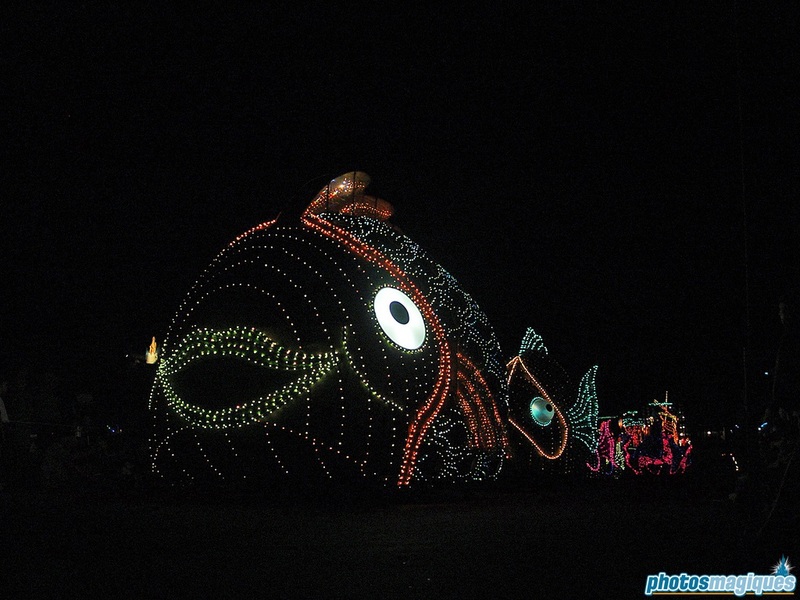 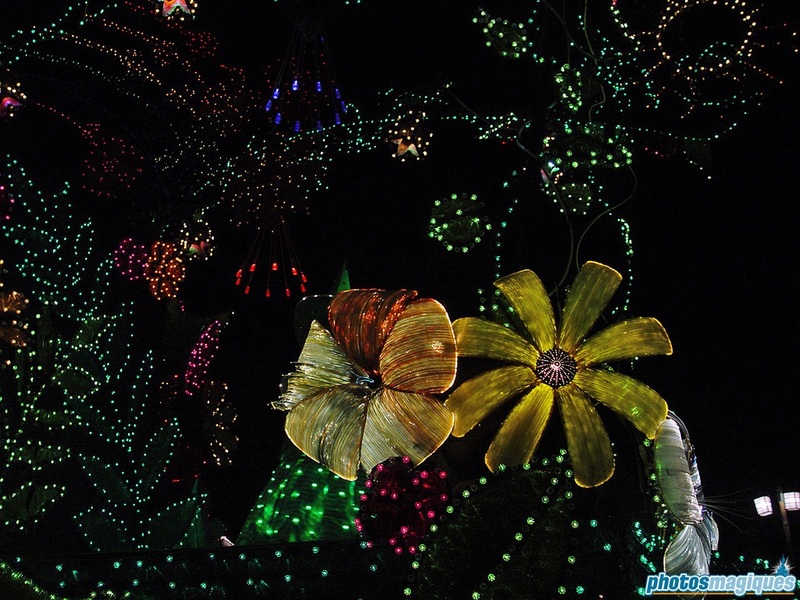 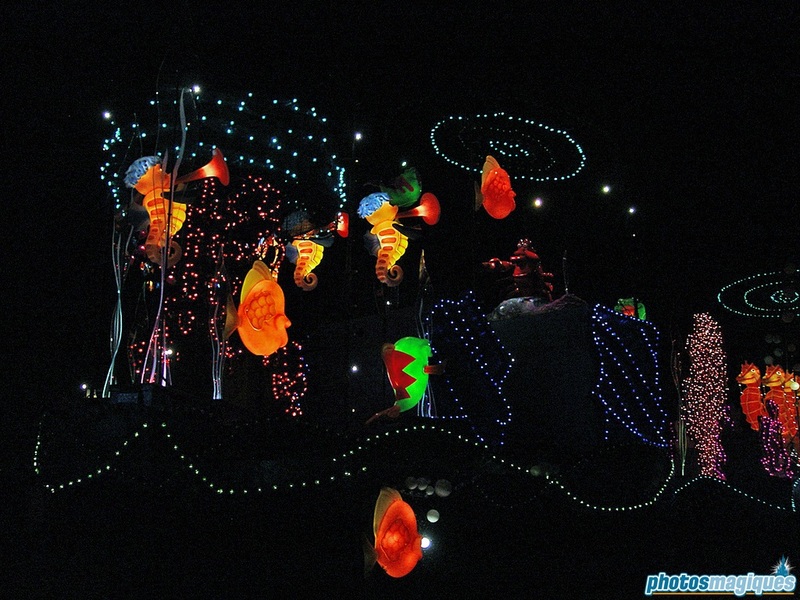 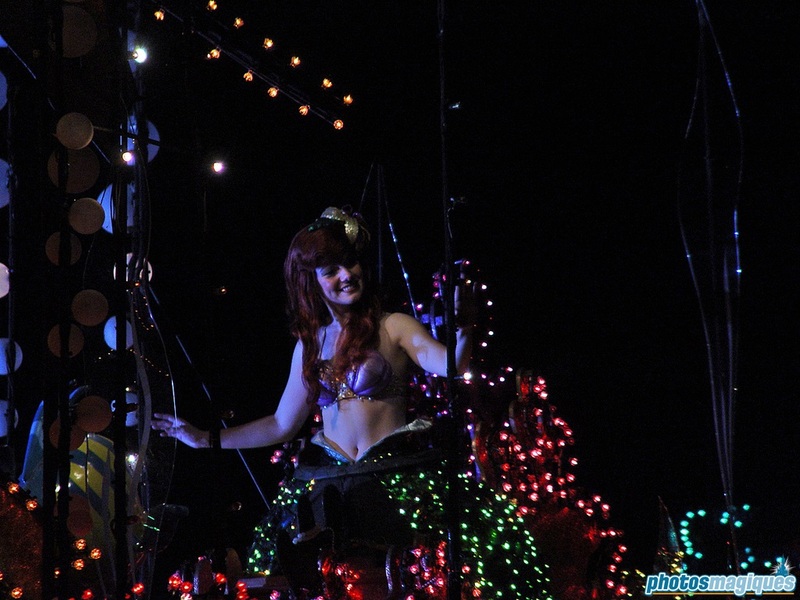 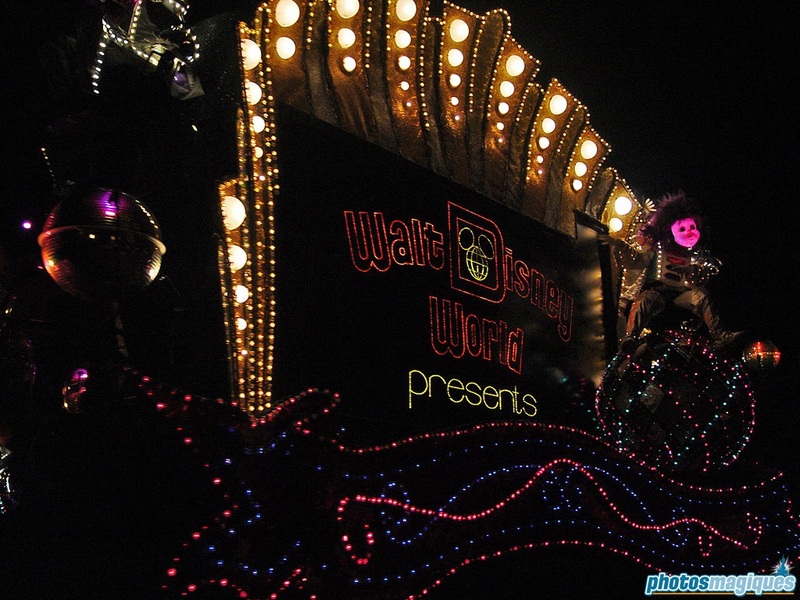 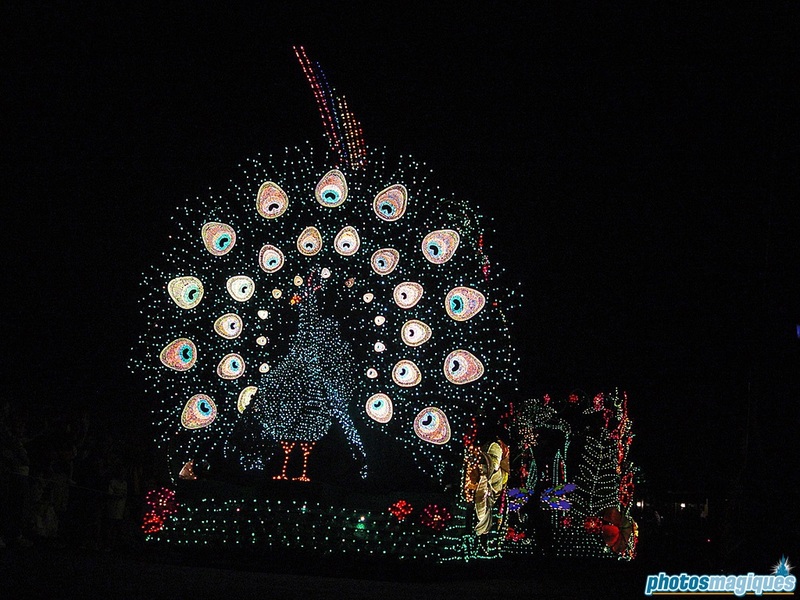 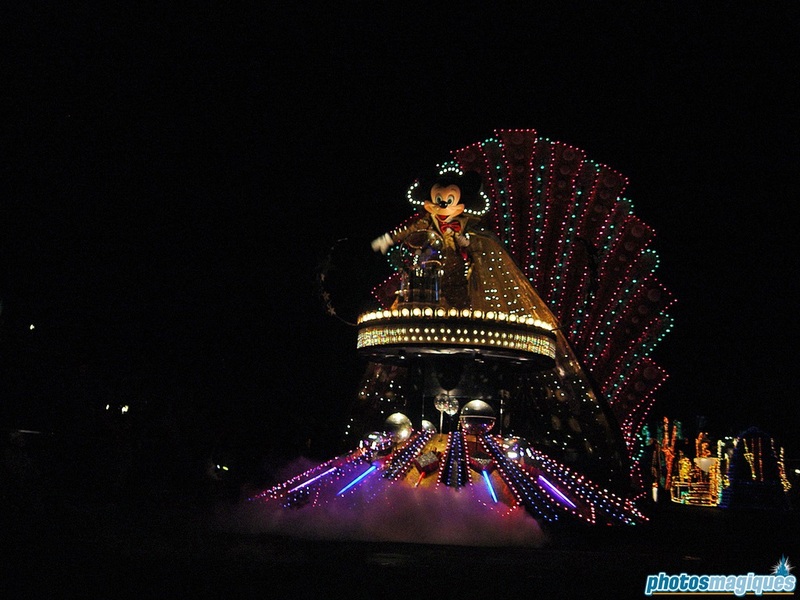 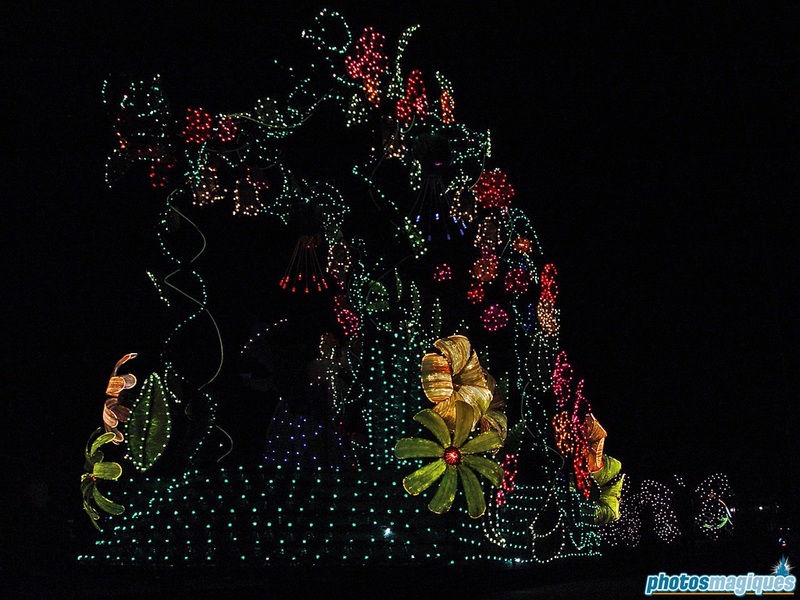 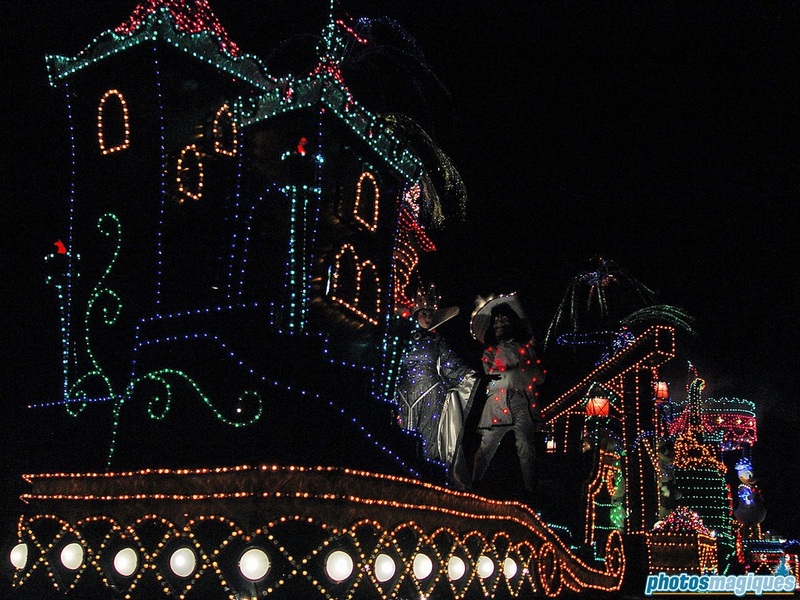 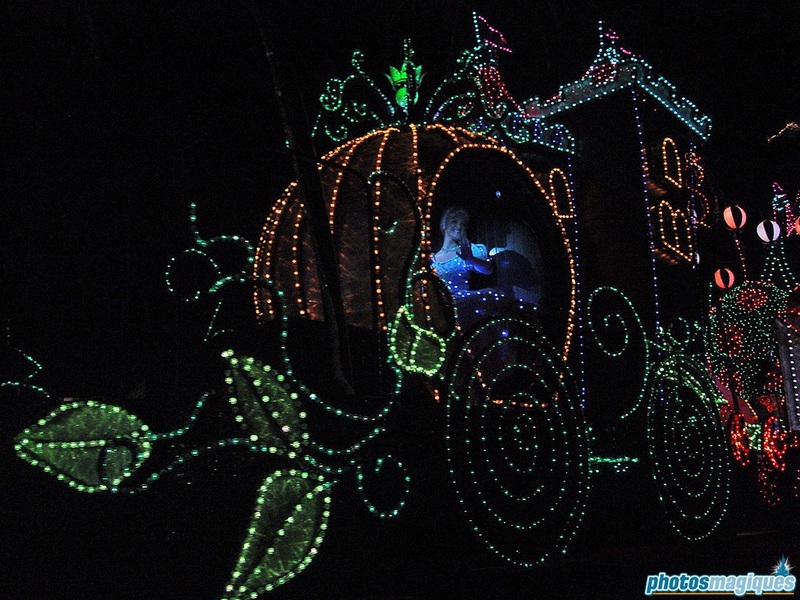 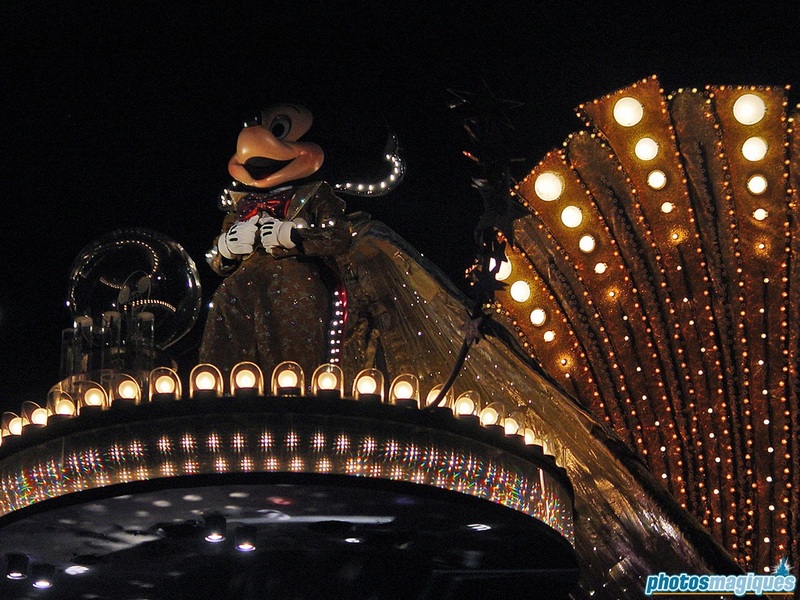 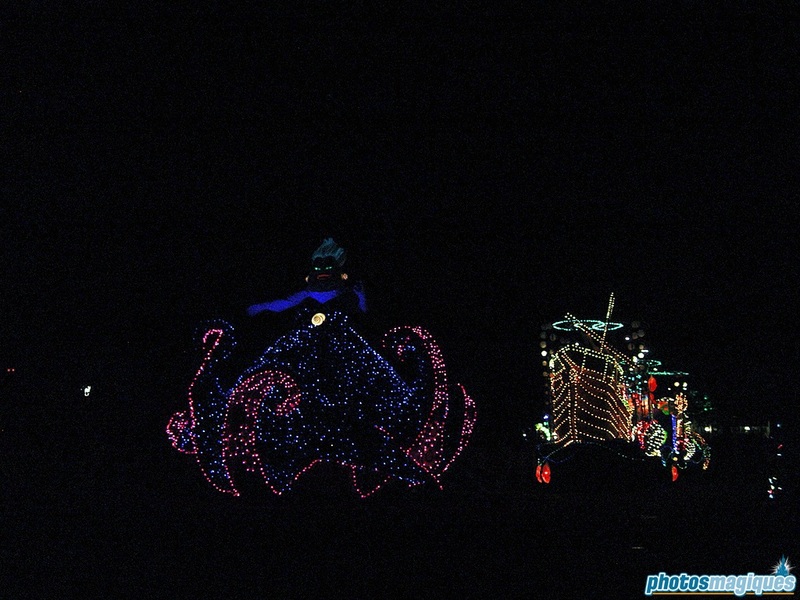 Spectromagic was “temporarily” replaced in 2010 by Main Street Electrical Parade again, but never returned. 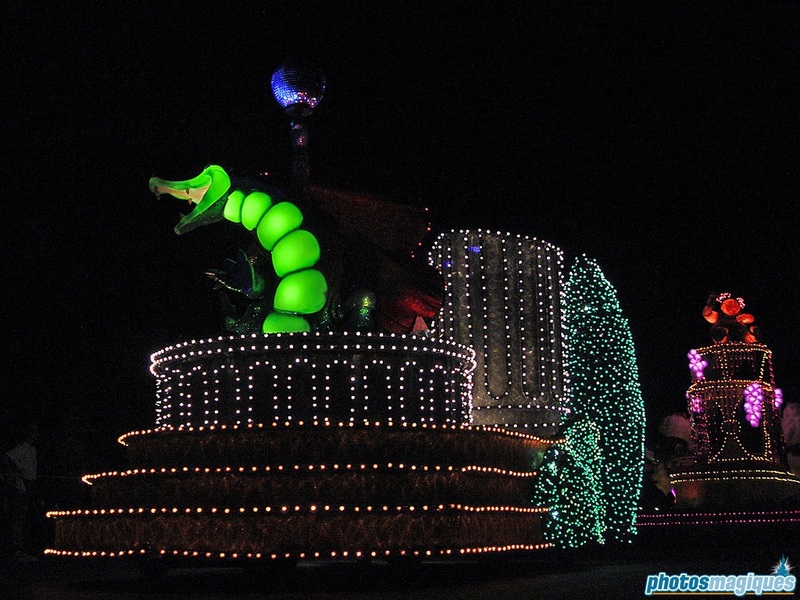 It was confirmed earlier this week that the parade has been officially discontinued with many floats already retired. 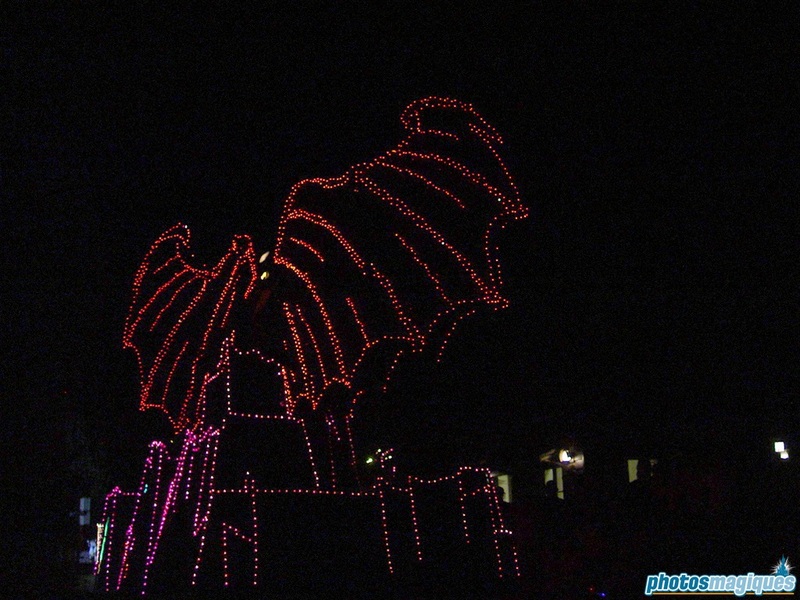 As a tribute, check out this photos we took during our 2005 trip to Walt Disney World. 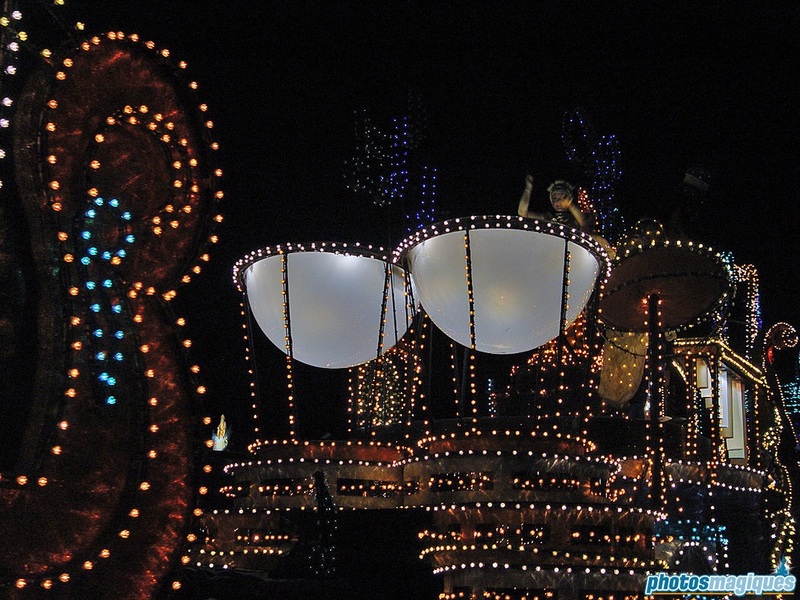 Can you see any similarities to our retired Disney’s Fantillusion? 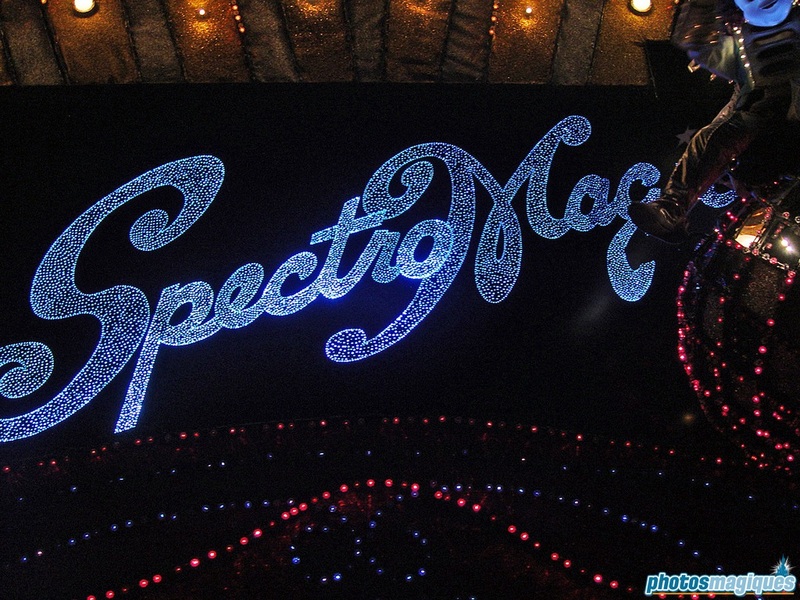 Welcome to the Splendor, the spectacle, the sparkling sensation, where the romance, the comedy and the thrill of Disney fantasies come to electric life… And now the Magic Kingdom proudly presents in a million points of musical light, the magical worlds of Disney in SpectroMagic!